200 pages | 11 B/W Illus. The Screenwriter’s Path takes a comprehensive approach to learning how to write a screenplay—allowing the writer to use it as both a reference and a guide in constructing a script. A tenured professor of screenwriting at Emerson College in Boston, author Diane Lake has 20 years' experience writing screenplays for major studios and was a co-writer of the Academy-award winning film Frida. The book sets out a unique approach to story structure and characterization that takes writers, step by step, to a completed screenplay, and it is full of practical advice on what to do with the finished script to get it seen by the right people. By demystifying the process of writing a screenplay, Lake empowers any writer to bring their vision to the screen. "Diane Lake is the real thing: a highly accomplished screenwriter AND a brilliant teacher. This book assimilates Lake’s considerable talents to offer the reader a fantastic insight into the world of screenwriting which is accessible in style, expert in knowledge and as consistently entertaining as it is wise." "In person and in print, Diane Lake has a talent for making complex ideas sound simple. In this accessible, inspiring and insightful book Diane challenges novice scriptwriters to avoid the formulaic and to write with passion and originality. In her own words, it’s the 'writers [who] need to be the ones aiming for the stars.'" "Diane Lake's book on the art of screenwriting, unlike others, is clearly the work of a pro. Rather than hawking trite formulas, this award-winning screenwriter provides helpful methods - including superb exercises - that are both simple and flexible, and that free the aspiring scripter to find her or his own special voice." "'Structure, structure, structure?' No – Lake’s book shows the importance of language, tone, creativity, research, effort and the working process. Lake’s years of industry experience, comprehensive exercises, personality and attitude make this a screenwriting ‘how to’ stand-out book." "Like the best screenplays, The Screenwriter’s Path is economically written. Diane Lake packs its pages with a mix of practical, from-the-Hollywood-trenches advice as well as exercises that will benefit anyone who wants to learn how to write for the screen." "Diane Lake enters the crowded field of screenwriting manuals armed with an irresistible combination of screenwriting chops, a refreshing lack of self-importance, and a healthy skepticism about the rules. Recognizing that the hardest thing about writing for movies or television isn’t filling out familiar formulas but developing characters worth caring about and putting them through plots whose twists are both unexpected and satisfying, she rightly emphasizes invention as the most important skill for screenwriters to cultivate. Her conversational tone roots her advice about conceiving, writing, and selling every project in practical realities every aspiring screenwriter needs to keep in mind, and the exercises that end every chapter are bound to unleash readers’ inner writers." 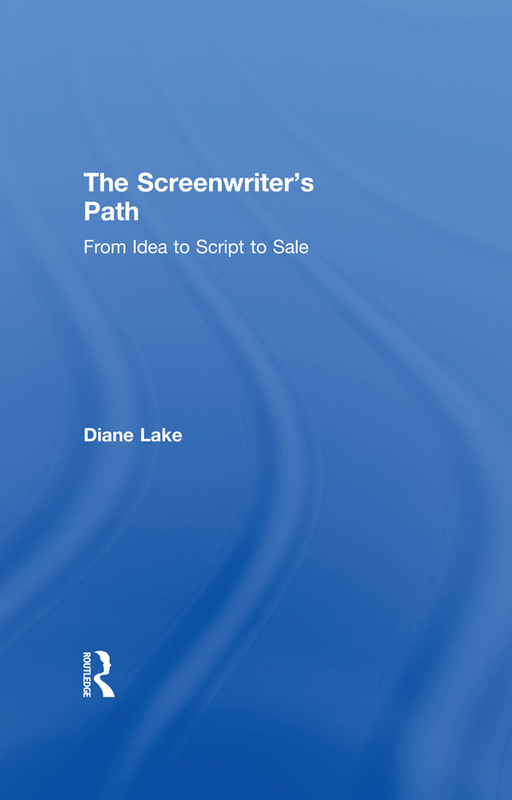 "The Screenwriter's Path is a fine blend of expertise, passion and humor from award-winning screenwriter Diane Lake. This lively, accessible text provides guidance for students and novices, encouraging them to hone their skills while still insisting on the value of screenwriting as an art designed to enhance creative expression." "Illuminating the path towards the art and practice of screenwriting is what Diane Lake's The Screenwriter's Path is all about. If you are looking for an inspirational, down-to-earth, straight-forward guide to screenplay writing – and the business of being a screenwriter – this should be your first read." "The Screenwriter’s Path is an essential pep-talk and an easy-to-read guide for anyone who shares Lake’s passion for movies and who wants to get into screenwriting. Her key insights into the industry and clever brainstorming exercises make the book ideal for both screenwriting classes and for those hoping to break into film writing on their own." "This is a brilliant screenwriting guide shared by a master storyteller and teacher; down-to-earth, funny, and profoundly practical, right down to the hands-on writing exercises. Lake’s insights and clarity are gems for writers, but a wellspring of inspiration for anyone on the artist’s journey who wants to access their cinematic imagination with more heart, power, and wisdom." "Diane Lake’s The Screenwriter’s Path offers the burgeoning screenwriter valuable insight into the craft of screenwriting by inviting readers into the intimate world of the writer. Unlike other formulaic guides to screenwriting, The Screenwriter’s Path illuminates the grace and subtlety of the creative enterprise in a style that is both accessible and inspirational making it a must read for anyone serious about becoming a screenwriter." "Diane’s book enables screenwriters, who began the process by staring at a blank page, to organize their creative thoughts into a cohesive structure while servicing the critical task of developing characters. The book also clearly describes the important tasks which must be executed in order to produce a highly entertaining and emotionally moving screenplay. And that is the ultimate goal. As hard as it is to get screenplays financed and produced in this crowded world of movies, I firmly believe that ‘you can’t stop a great screenplay.’ Diane’s book provides the tools to accomplish this. Chapter 1: ORIGINAL OR ADAPTED: WHICH ARE YOU WRITING? - What Kind of Movie is this, Anyway? - Whose Story Do You Want to Tell? Who is this Person and What Does He/She Want and Need? What is the Emotional Life of Your Main Character? Why Should I Care About Your Main Character? What was His/Her Life Like Before the Story Starts? How Does Your Main Character Talk? - What if the Journey of Your Main Character Mirrors the Trajectory of the Film? Seriously? I’m Supposed to Follow Some Cookie-Cutter Formula?! -Writing Good Dialogue: Can it be Taught? PART THREE: You’re Done!—So What’s Next? Diane Lake is an Associate Professor of screenwriting at Emerson College and is a regular speaker at industry conferences. Her film Frida won the American Film Institute’s Film of the Year and was nominated for six Academy Awards in 2003, winning two. She has been commissioned to write films for Columbia, Disney, Miramax, and Paramount, and has written a mini-series for NBC, created a half-hour series for ABC, and worked with numerous independent producers, actors, and directors. Diane has been a member of the Writers Guild of America (WGA) for over 20 years, where she has also served as an arbiter to determine film credits. Visit Diane's website at www.DianeLake.com or to schedule Diane for a speaking engagement, please email MichaelGriffin@ScreenwritersPath.com.